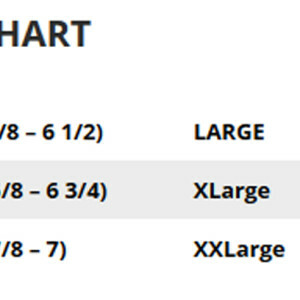 Home Riding Apparel & Gear Helmets & Safety EquipmentReturn to Previous Page. 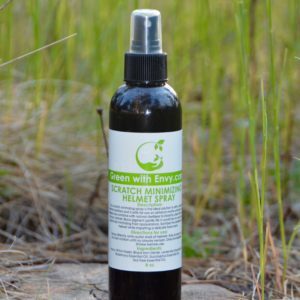 The GWE Deodorizing Spray is the natural solution to odorous items. Our deodorizing spray is safe for use on all fabrics (including sweaty saddle pads and horse blankets). Natural fragrances combine with natural sterilizers to instantly freshen up any odorous item with a delightful floral scent that lasts hours. When sprayed into helmets, prevents the build-up of bacteria that can lead to breakouts and forehead irritation. When sprayed into boots, neutralizes odor and ‘stinky feet’. 8 oz bottle with sprayer. 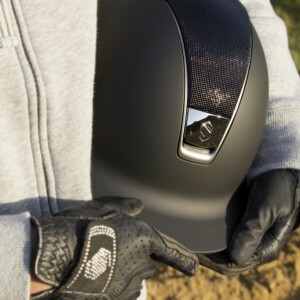 The GWE Scratch Minimizing Helmet Spray is the natural solution to dirty, scratched helmet exteriors. This scratch minimizing spray is safe for use on all black matte surfaces. Natural fragrances combine with natural sterilizers to instantly clean the exterior of your helmet. 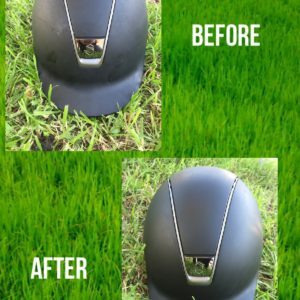 Black pigment gently fills in scratches on your helmet, drastically minimizing their appearance. Sanitizes the exterior of your helmet while imparting a delicate floral scent. The One K Defender Suede Helmet in Black Matte features a Chamude synthetic suede covered Polycarbonate and Advanced ABS Composite outer shell. An injection molded shell design and ASTM/CE certification makes this helmet a standout in both design and safety. 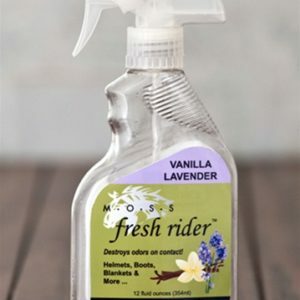 The Moss Fresh Rider Deodorizing Mist is the perfect solution to stinky helmets and boots! This deodorizing mist provides leading edge odor eliminating technology, natural fragrance, and essential oils in special combination to improve and enhance products for horse and rider. Can be used on boots, blankets, helmets, pads, and more. The mist is made of an all-natural soy-based free radical technology that traps and destroys the odor on contact. No odor stands a chance against the Moss Fresh Rider Deodorizing Mist! At Halo Horses safety is our number one concern for our riders. That is why we recommend Samshield products. 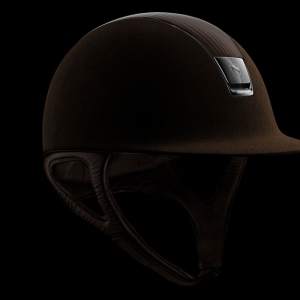 Leading the industry with safety and beauty, you will ride in confidence with a Samshield Premium Helmet. At Halo Horses safety is our number one concern for our riders. That is why we recommend Samshield products. 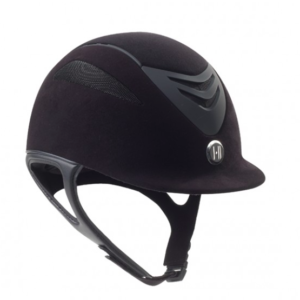 Leading the industry with safety and beauty, you will ride in confidence with a Samshield Shadowmatt Helmet.